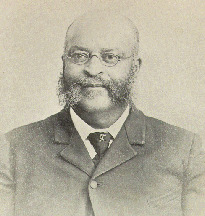 Henry Clay Bruce, 1836-1902 The New Man: Twenty-Nine Years a Slave,Twenty-Nine Years a Free Man. The New Man: Twenty-Nine Years a Slave,Twenty-Nine Years a Free Man. York, Pa.: P. Anstadt & Sons, 1895. Freedmen -- Missouri -- Biography. Freedmen -- Missouri -- Social conditions. Kansas -- History -- Civil War, 1861-1865 -- Personal narratives. Missouri -- History -- Civil War, 1861-1865 -- Personal narratives. Plantation life -- Missouri -- History -- 19th century. Slaves -- Missouri -- Biography. Slaves -- Missouri -- Social conditions. Slaves' writings, American -- Missouri.